W. Clay Wilkes is an associate attorney at Weber Law Group, PLLC. Mr. Wilkes' practice primarily centers around business and civil litigation. He also works with businesses in transactional matters issues such as drafting contracts, commercial agreements, and entity formation. He also has experience with family-based immigration and deportation cases. Mr. Wilkes has practiced law in Utah since 2015. After graduating from law school, Mr. Wilkes joined an immigration/criminal defense firm based in Utah County that carried cases in Utah, Nevada, California, and Texas. He handled cases before the immigration courts in Utah and Nevada. During law school, Mr. Wilkes clerked in the corporate law firm Ramirez, Gutierrez-Azpe, Rodriguez-Rivero y Hurtado, S.C. in Mexico City, Mexico. 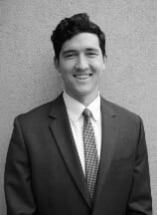 Mr. Wilkes graduated from the University of Oregon College of Law in May 2015. Mr. Wilkes attended Brigham Young University where he completed his undergraduate studies in Spanish with a minor in Logic. Mr. Wilkes enjoys jogging, cycling, basketball, snow-skiing and art. He currently resides in Provo, Utah.